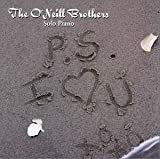 The O'Neill Brothers are an American instrumental piano duo from New Prague, Minnesota, comprising brothers Tim and Ryan O'Neill. The brothers both began piano lessons at age five and attended the University of Notre Dame before deciding to pursue a career together in 1997. The pair began self-releasing albums, many based on themes such as marriage, Christmas, patriotism, and styles such as traditional Irish music. The group found success selling their music on the television station QVC in addition to making appearances on other networks. Their 2000 release From the Heart saw a resurgence in popularity in 2005, peaking at #21 on the Billboard Pop Catalog chart. The group has sold over one million albums total.